Branded Games from Blot InteractiveBranded Games from Blot Interactive | Imagination at play. promote products, attract customers, and capture unique user data. Branded gaming is a content marketing tool that lets brands connect with their audience in a unique, entertaining way. It’s a type of branded content that enlightens, engages, and builds connections to the audience through interactive play. Traditionally, branded content has consisted of sponsors either paying for the production of content, or paying to have a product placed within the content – with minimal impact on the story, message or purpose. Thanks in large part to dropping production costs, branded content has grown to include content developed or curated directly by the brand, blurring the line between advertisement and entertainment. Acting as media producers, brands are now successfully competing for the same chunk of free time as every other media producer. By developing high-quality content, brands can build their own audience, increase brand consideration and affinity, and over time, cultivate a much deeper connection with consumers. Branded gaming takes this relationship one step further. By creating high-quality games on mobile devices, consoles, and across the web, brands have the ability to engage with a captive audience at every free moment throughout the day. Branded games have the potential to directly compete with the most popular games today. By integrating a brand directly within the core gameplay, companies can leverage this medium to build closer brand-consumer relationships than ever before. By allowing an audience to physically interact and actually play with the content – rather than passively consume it – games can be used to help their audiences experience the thrill of achievement, teach them valuable lessons in an entertaining way, or foster communities in brand new ways. Marketers have been using games to push brand messaging for years. Many of these “advergames” have been shown to have mixed results in the past; largely due to the fact that advergames – by definition – are simply advertisements with basic gaming mechanics added. Most advergames are created by making a copy of an existing game and adding a company logo and other branded art. These games typically have very little to do with the actual brand, and often lack the entertainment value that made the original game successful. As a result, most advergames aren’t really that fun or engaging, and players don’t usually play long or often enough to make measurable results. The focus of branded games is to make high quality games that integrate the brand messaging directly into the core gameplay. 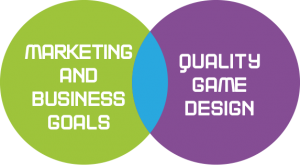 By merging marketing and business goals with quality game design, branded games can attract and engage consumers, and entice them to come back over and over again. Put simply: the more fun a game is, the more time a player is willing to put into the game and the more likely they are to share it or invite others. People are playing high-quality games across smartphones, tablets, social networks, websites, computers and gaming consoles every single day. The cost to produce these games is lower than ever, and brands now have the opportunity to get into this high growth area and interact with their customer base on an entirely new level. Plus, high-quality games have the ability to put metrics on customer attention and loyalty. Developers can now track data – such as how often a game is played, the length of time a game is played, the frequency of play, and which portion of the game is played most often – and can also integrate with social network profiles to give a complete picture of the audience base. Not only can marketers use this data in other projects, but the games can then be continuously tweaked to increase these metrics, add new features, or promote new content. and influence your customer base with branded games. Beyond the attitudinal benefits, mobile and web-based games enable brands to reach their targeted audience throughout the day – including during those hard-to-reach work hours. Games are consumed for longer periods of time than traditional advertising, and social network integration can give great games the potential of building strong communities and being spread virally. More than simply a promotional tool, a game can be used to allow potential customers to play with the product and have fun with the brand, influencing brand affinity. With an average of 3 to 20 minutes of direct engagement per player, high-quality games bring audiences back again and again, giving brands long-term exposure. Video games also provide a ready-made option for time-based promotional events, such as contests or competitions. Whether implicitly or explicitly, a game can be used to showcase products and services before purchase. By allowing a player to experience the benefits of using a product or service before actually purchasing it, brands can impact a potential customer’s intention to purchase virtually. In-game advertising and product placement can also provide more impressions to a captive audience. With gaming tie-ins, brands can connect the in-game experience with real-world rewards. Many games feature in-game virtual currency, which is used to buy virtual items or otherwise enhance the game. Brands can offer real-world rewards for players that have accumulated enough virtual currency or points – or can give away virtual currency for every purchase of a real-world product. Games can also be leveraged as excellent market research tools. Game developers have been utilizing advanced data analytics to increase user acquisition, retention and conversion for years. It is possible to watch how users interact with the game, gaining an in-depth understanding on how users actually respond to a brand, product or service. By collecting details such as how, when, where, and what kind of audience is playing, games can be used to identify future opportunities in incredibly unique ways. On top of it all – games can become a marketing tool that creates a direct return on investment. If designed correctly, brands can actually use them to generate new stream of revenue, diversify their product portfolio and grow the brand. This unique feature of video games is rarely found in other marketing initiatives. When compared against traditional advertising such as radio, television and print, purpose-driven games can be inexpensive to produce and can create an excellent return on investment. 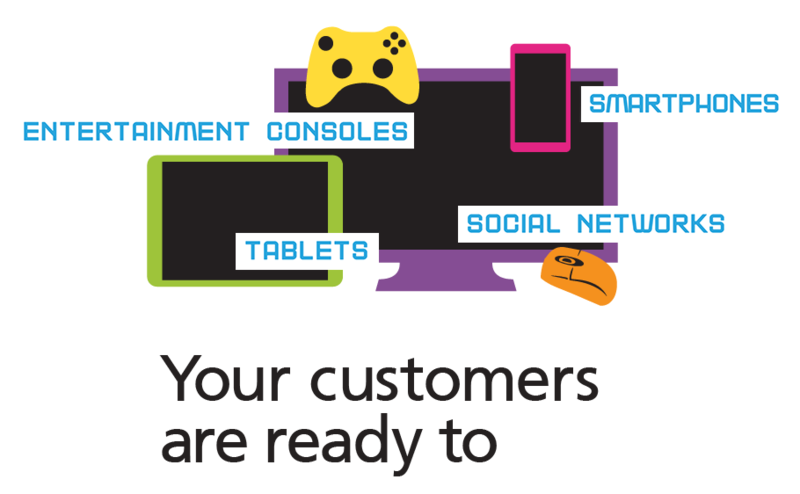 Games can be made to be distributed on a wide range of platforms – including mobile devices, social networks, home and handheld consoles, within a browser, or downloaded directly onto a PC. Blot Interactive is a video game development studio in Toronto that specializes in high-end game design and development for widespread audiences. We believe that fun and play can be extraordinarily valuable tools to help teach, motivate, engage and empower people. Founded by Justin Kwok and Norma Rossler, Blot Interactive opened with the goal of creating unique gaming experiences that can have benefits beyond simple enjoyment. 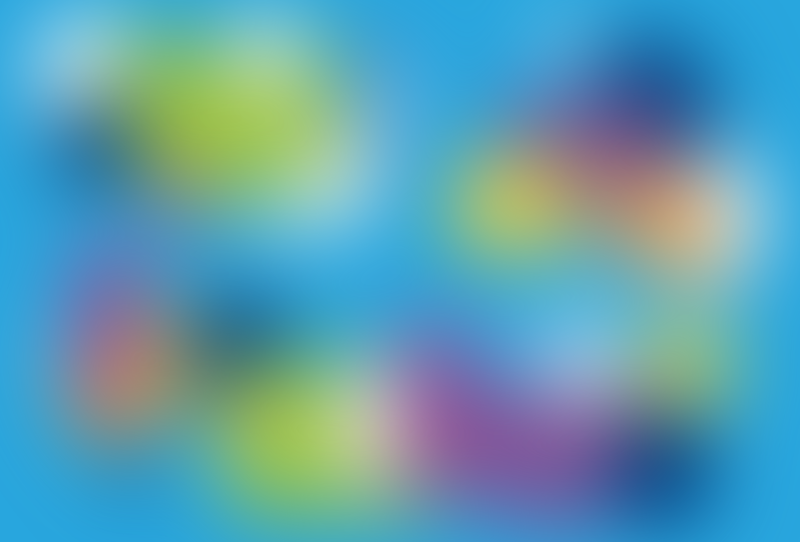 After recruiting talented industry colleagues, Blot Interactive began development of its first product, Chat Fu, in November 2012. As the first product to “gamify” chat, the Facebook game has received excellent critical response, and has been noted for its ingenuity and originality. Blot Interactive is a recognized leader in gaming innovation, and our team has experience working with a diverse number of brands and organizations, including LeapFrog, Warner Bros, Ubisoft, Disney, Activision and Paramount.